IN 2017, SHERWAY GARDENS COMPLETED AN EXTENSIVE EXPANSION providing an additional 210,000 square feet of retail space (1.3 million square feet in total), a new relocated food court, new anchor/department stores, three new parkades, and multiple new restaurants. In keeping with the redeveloped shopping centre, long-time client Cadillac Fairview charged Quoin Construction to manage the redevelopment of the mall’s administrative offices. Reinforcing the position as a leading fashion destination delivering a unique shopping experience, Cadillac Fairview upped the design elements of the space to reflect the high-end positioning of the tenant brands. Rich dark wood and bright stone finishes accented the clean and modern space. 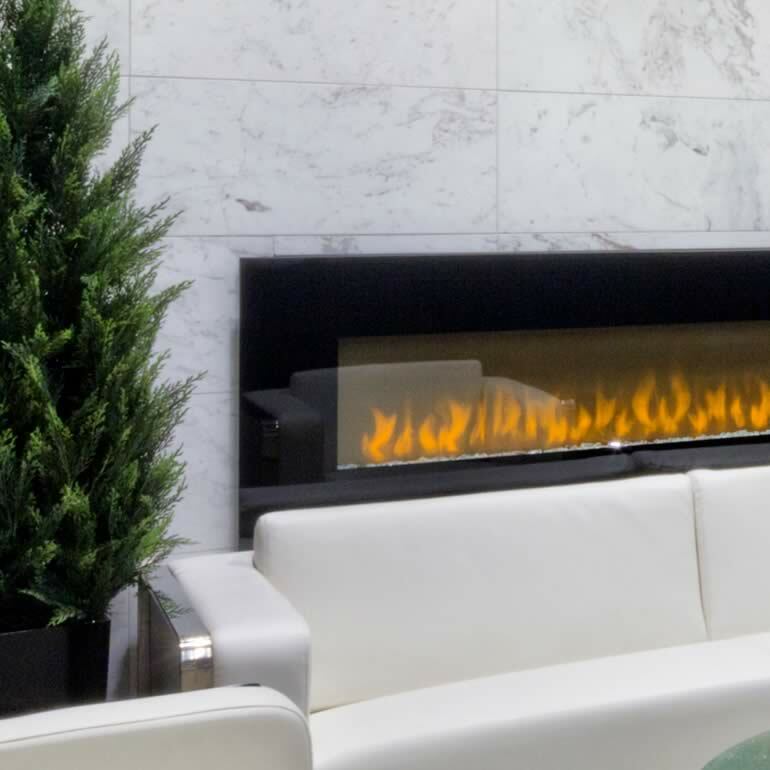 Echoing the inviting, premium experience of the retail areas, a large fireplace was installed in the reception area. Beyond the modern reception lobby, an open corridor extended to private office spaces and a large multi-purpose board room where morning briefings, sales presentations, and tenant events are held. As the administrative engine of the shopping centre, the new office spaces were designed to help our client’s operations thrive. Quoin’s detailed scheduling, relocation plans, solid budgeting and quality construction meant that our client could return to the helm quickly and efficiently and complete the massive expansion successfully. Not only did the mall expansion require many retailers to relocate, the new layout placed the management offices right in the centre of the building – without any windows. Overcoming this lack of essential natural light, we made provisions for future installation of custom skylights and specialized lighting systems.